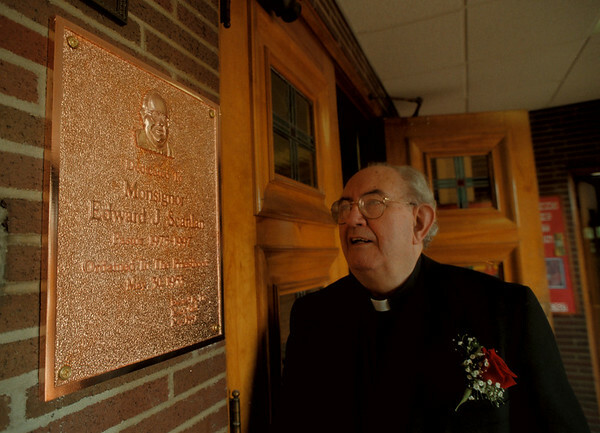 98/05/27 Edward Scanlan - James Neiss Photo - Monsignor Edward J. Scanlan looks at a newly erected plaque in his honor at Mt. Carmel School. He is celebrating 45years of service.